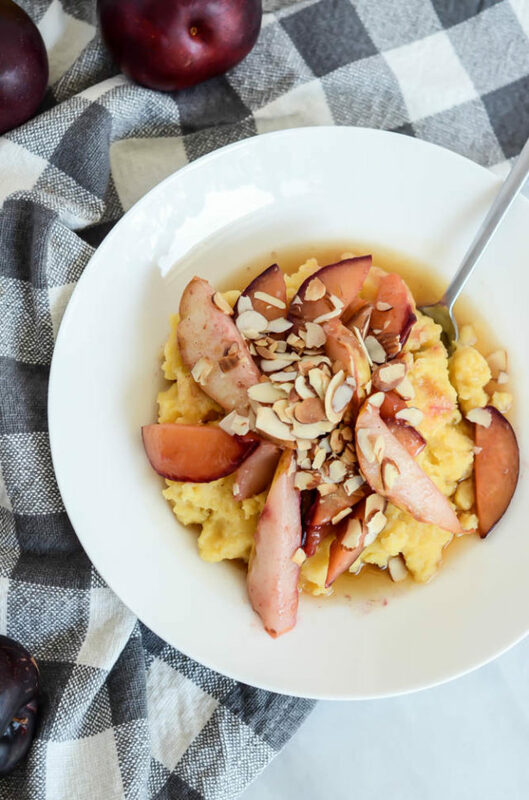 A healthy, kid-friendly breakfast to serve up on a school day that’s full of protein and vitamins to keep your little ones energized until lunchtime! 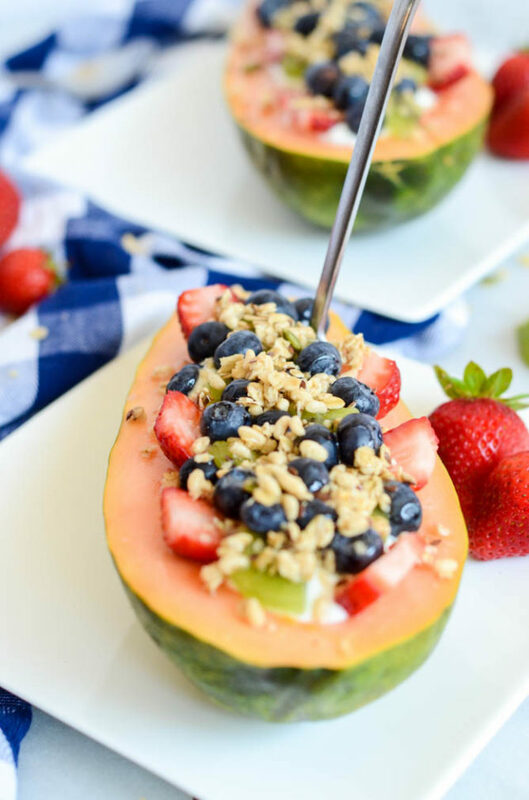 Every new school year deserves a fun and healthy breakfast…Am I right? 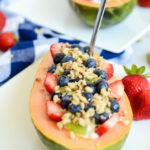 Well, you’re in luck, because these Back-to-School Papaya Breakfast Boats will make any reluctant schoolchild excited to get up in the morning and ready to take on the day with lots of filling protein and other healthy nutrients from alllll the festive fruits. 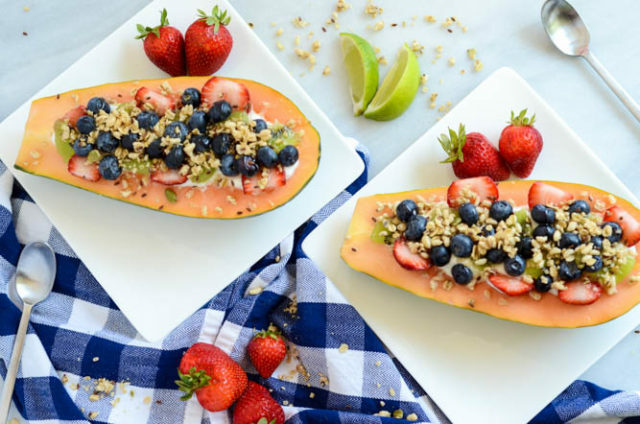 So, what’s up with these Back-to-School Papaya Breakfast Boats? To be honest, not much, but you wouldn’t guess it from all they’ve got going on! There’s actually no cooking involved, it’s more compiling a bunch of fresh, delicious and healthy ingredients together and serving them in a fun and festive way. 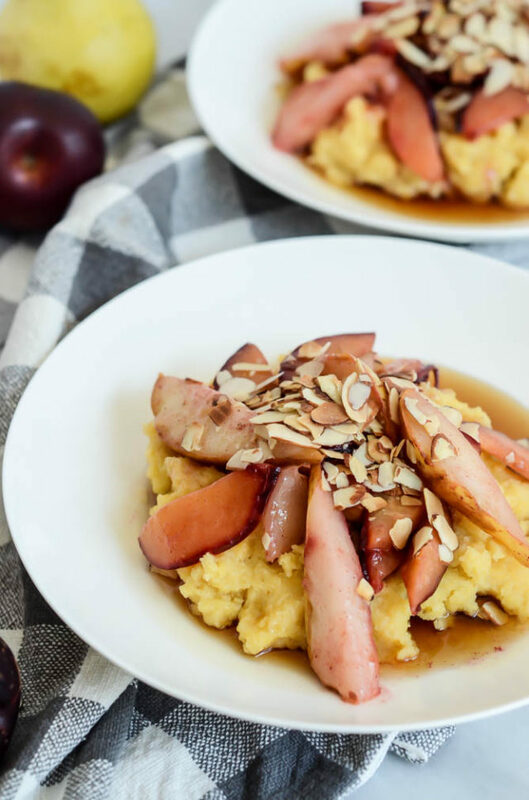 They take almost no time to throw together, which means they’re just that much more perfect for a busy weekday morning when you’re trying to get homework organized, teeth brushed and kids out the door. We start out with some fresh papaya halves, then give them a good squeeze of lime juice. If you’ve never taken lime juice to your papaya before, you’ve really been missing out. Don’t skip this step. It’s a game changer! 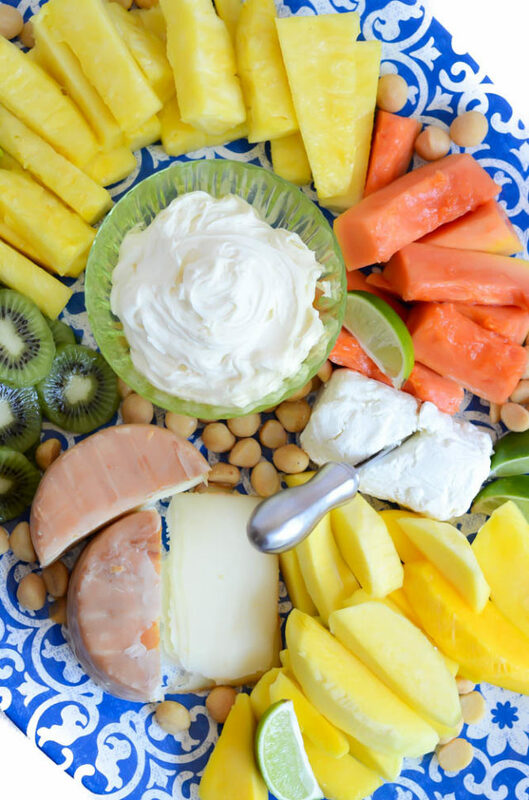 Next step is to load up the boats with some plain Greek yogurt – because we all need that protein – and then top it with any fresh fruit we can imagine. I used strawberries, kiwis and blueberries, but feel free to improvise and use what sounds best to you. Just about anything would be delicious! 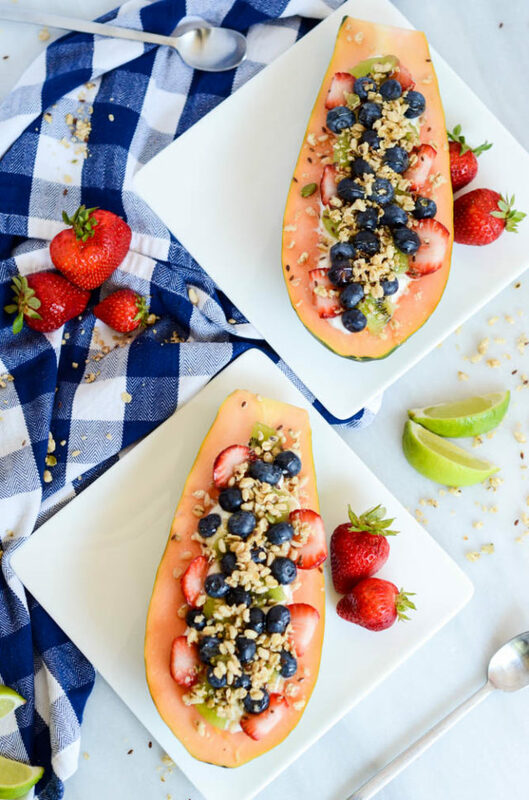 The final touches to our Back-to-School Papaya Breakfast Boats are a sprinkle of our favorite granola and a drizzle of sweet honey. That’s it! See, I told you it wasn’t hard. So now that I’ve made such a big deal about this tasty back-to-school brekkie, tell me, do you have kids who are starting up their school year this week? Are you so relieved or secretly bummed you don’t get to hang out with them all day anymore? 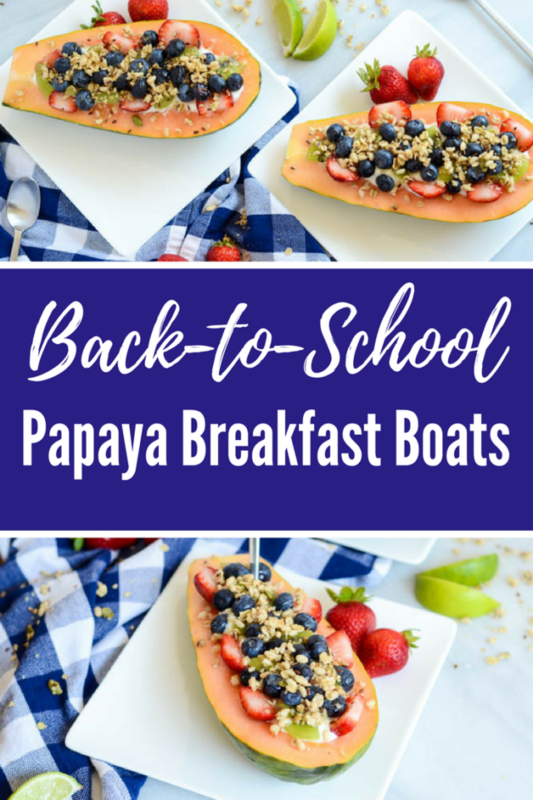 I obviously don’t have any kids in school yet, but in my current state I can tell you I’m incredibly grateful for healthy, easy recipes that can be whipped up in a matter of minutes, just like these Back-to-School Papaya Breakfast Boats! Do you have any fun back-to-school recipes you always turn to at this time of year? If so, I’d love to hear about them! 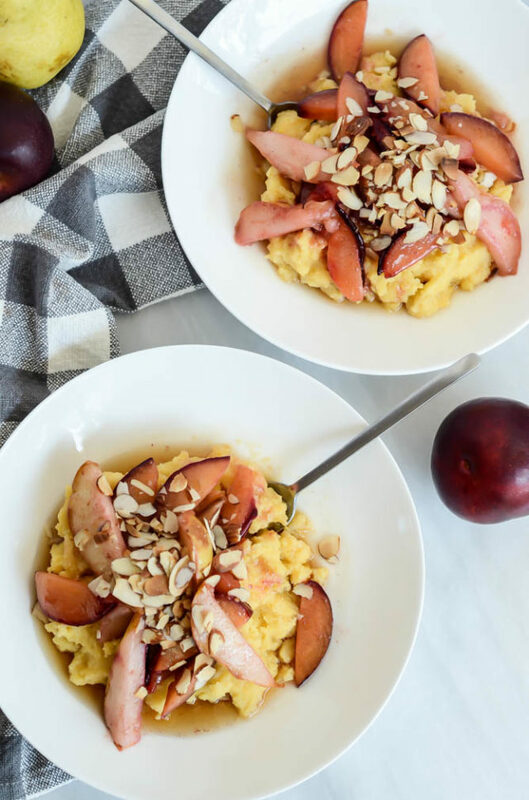 A healthy, kid-friendly breakfast to serve up on a school day that's full of protein and vitamins to keep your little ones energized until lunchtime! 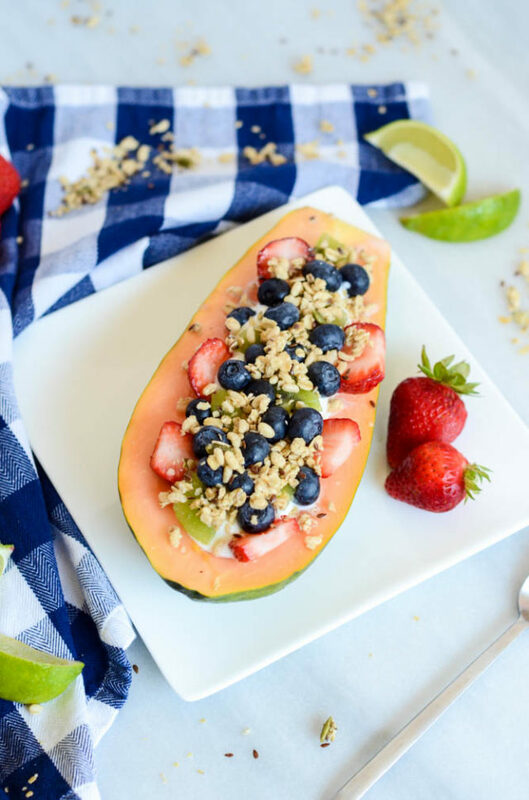 Squeeze lime over both halves of papaya. 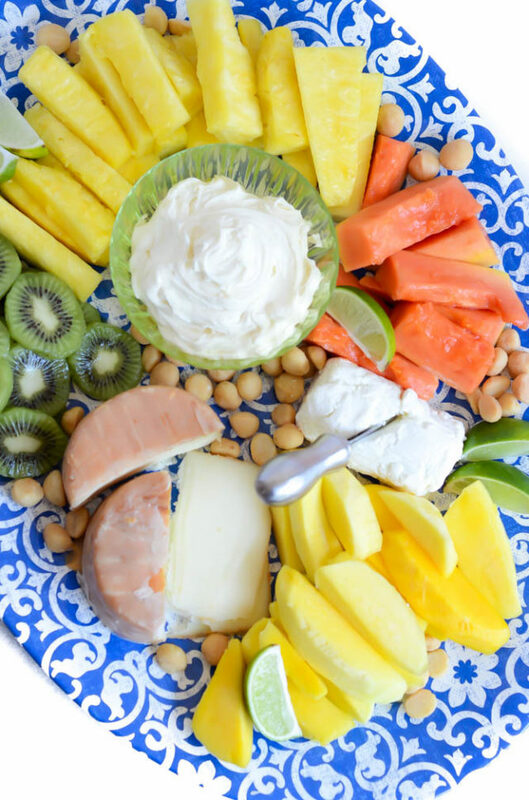 Divide yogurt evenly among papaya halves, then divide all fruit evenly on top of yogurt. Sprinkle granola over fruit, then drizzle on honey. Serve to your hungry kiddos! I hope you don’t mind. Out of the many things this pregnancy has been good for, cravings for old, almost forgotten recipes has been one of my favorites. 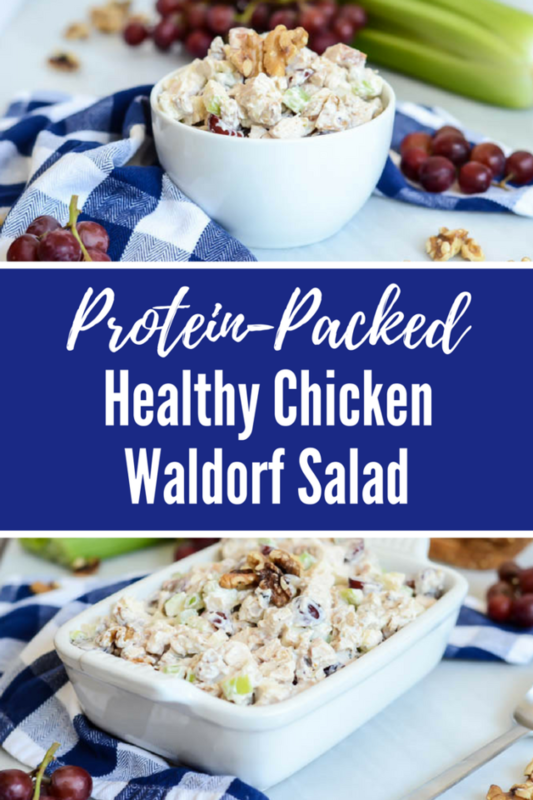 This Protein-Packed Healthy Chicken Waldorf Salad is one such out-of-rotation recipe that I’m so glad I remembered I had in my back pocket. 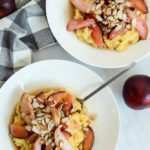 Being the balanced foodie that I am, when I first found out I was pregnant, I wanted to be sure to keep my diet as in-check as possible (keeping the pregnancy weight gain in between a healthy 25-35 pounds) while still allowing myself to succumb to the nearly inevitable cravings whenever they hit. One of the best tips I received from my doctor was to be sure to get some sort of protein in with every little meal or snack I ate. I’ve tried really hard to achieve this but, especially working from home, it’s pretty easy to run out of “healthy” protein-packed snacks over the course of a day. With cold cuts out of the question (in less I feel like microwaving them to make them “safe” and subsequently being forced to eat warm lunch meat if I need a snack ASAP), I found myself turning to cheese and peanut butter as my main sources of protein during the day. After even getting sick of these things at times (which is quite the feat for a peanut butter and cheese lover like me!) I started racking my brain for other quick-and-easy protein-filled snacks that I could just grab out of the refrigerator at a moment’s notice. 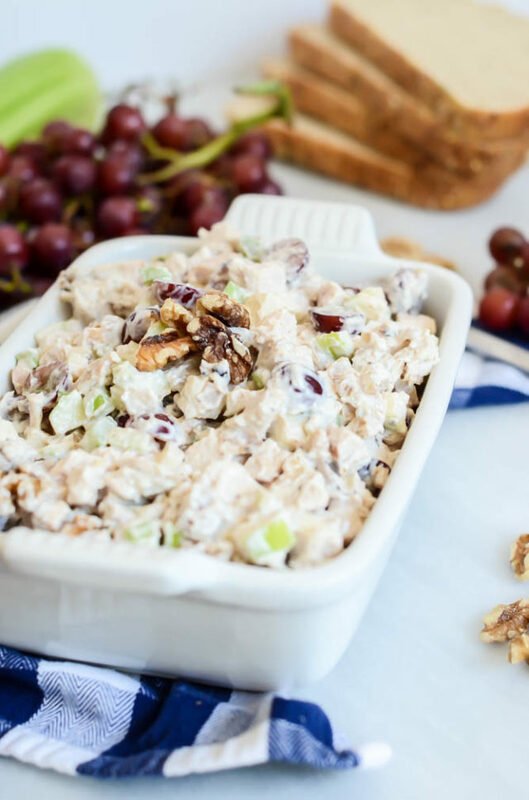 It was then that I remembered this Protein-Packed Healthy Chicken Waldorf Salad that I made ALL the time when I first moved back from Hawaii, and I knew it was just the thing I was looking for. If you’ve been following along with the blog for a while (or if you’ve just happened to view my most popular post on Pinterest for Spicy Poke Bowls), then you’ll know that I used to live in Hawaii. What you may not know is that, while I lived there, I actually worked as a Line Cook/Pastry Assistant in a cute little French bistro for a period of a few months. While working there, one of my primary jobs was to come up with snacks/dishes/baked goods that did not require any cooking that they could serve out of their deli case in the “grab-and-go” section. You can probably guess where this is going. 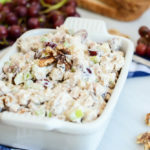 One of my go-to recipes for this deli case was a Chicken Waldorf Salad (which was a huge hit, I might add) and I made it more times than you can count on both hands in the few months I worked there. So much that the recipe became pretty second nature to me! 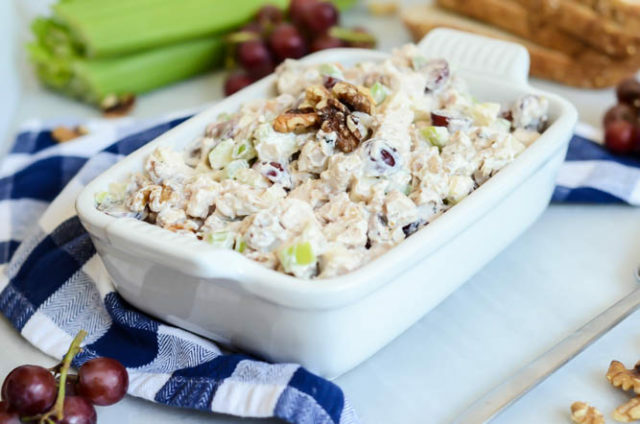 When I returned home, and was back to cooking for just myself and my loved ones, I did what I love to do with typically Mayonnaise-laden dishes like the Chicken Waldorf Salad, and made a “healthified” version that I could enjoy whenever I wanted, without the guilt. 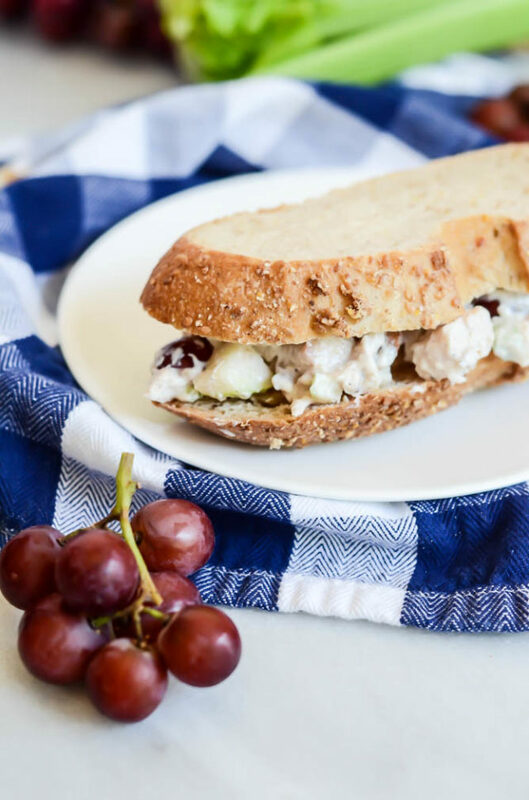 Just like my favorite Crunchy Pea Salad with Prosciutto, the secret to lightening this Protein-Packed Healthy Chicken Waldorf Salad up is subbing out the mayo for Greek yogurt. Sometimes (as with the Pea Salad) I like to keep in just a little bit of mayo for the creamy, savory flavor, but since most Chicken Waldorf Salad recipes call for lemon juice anyhow, I felt like the mayonnaise really wasn’t needed at all. And I was right! Adding the Greek yogurt also means that this salad is even MORE loaded with healthy protein, which is just what this hungry preggo mama needs. Plus, the requisite chicken, walnuts, celery, apples and grapes are all full of healthy nutrients that are great for anyone, not just those of us who are expecting. 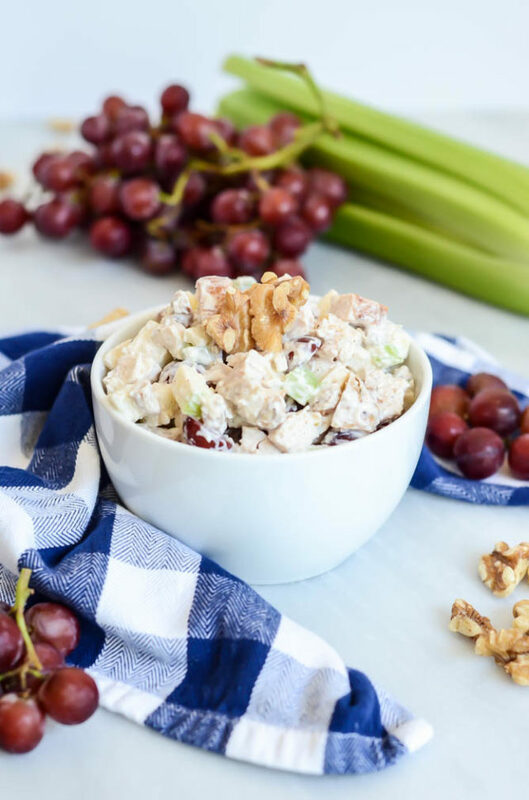 Aside from the dressing substitute, the only other little touch that really makes this Protein-Packed Healthy Chicken Waldorf Salad stand out from the rest is a pinch of ground cinnamon and nutmeg. Don’t skip this! The spices round out the dish so nicely, it’s really a wonder why more people haven’t discovered it already. Finally (says she sitting in her kitchen with her air conditioner blasting), as long as you have some cooked chicken breasts on hand (a must for any meal-prep situation) this is another no-cook recipe that will keep you away from the stove and enjoying the outdoors as much as possible in this sweltering summer heat. 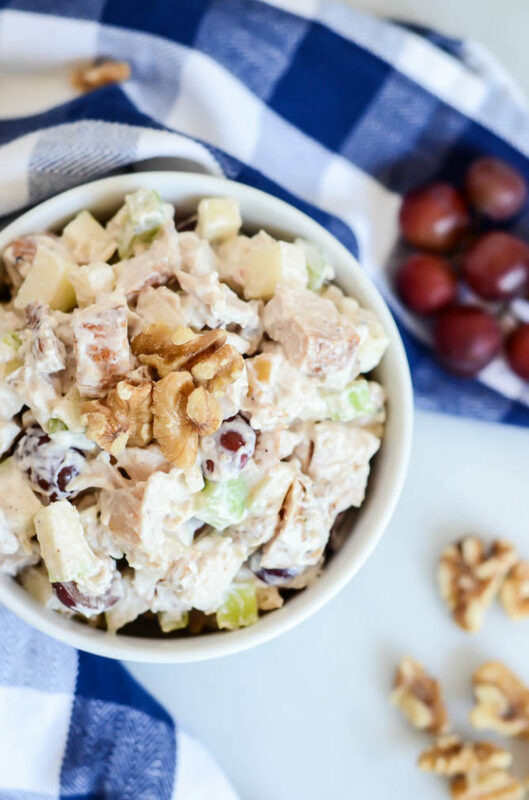 Let’s take this week by the horns with some Protein-Packed Healthy Chicken Waldorf Salad in hand! 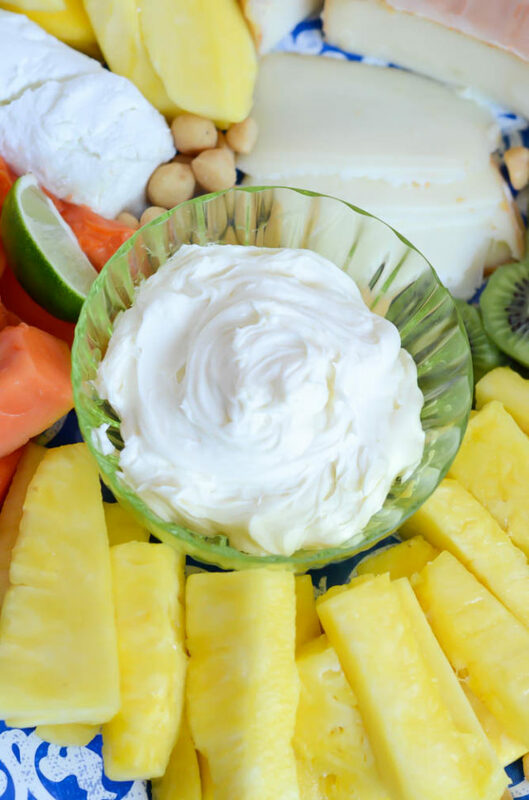 A typically mayonnaise-laden dish gets a healthy makeover with the substitution of Greek yogurt and delicious cinnamon and nutmeg. The perfect no-cook meal! Add all ingredients to a large mixing bowl and stir to combine. Serve alone, with crackers, chips or spread onto sliced bread as a sandwich! 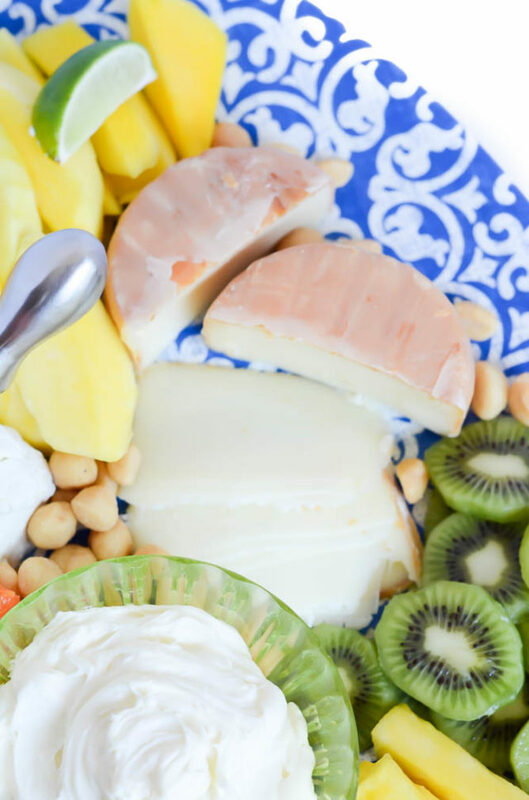 The classic soda fountain treat is given a healthy spin and turned into a delicious, kid-friendly breakfast. Who doesn’t want dessert for breakfast? It’s time to have some fun with our food! 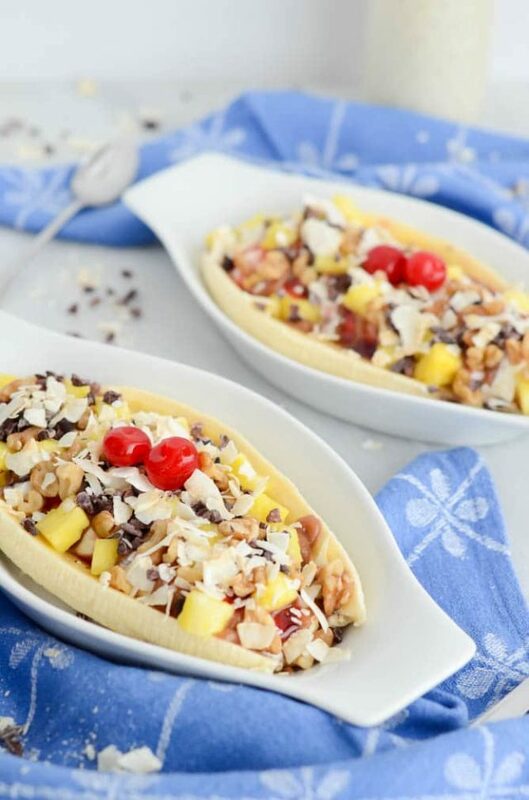 Let’s start with this festive, tasty, KID-FRIENDLY Breakfast Banana Split. 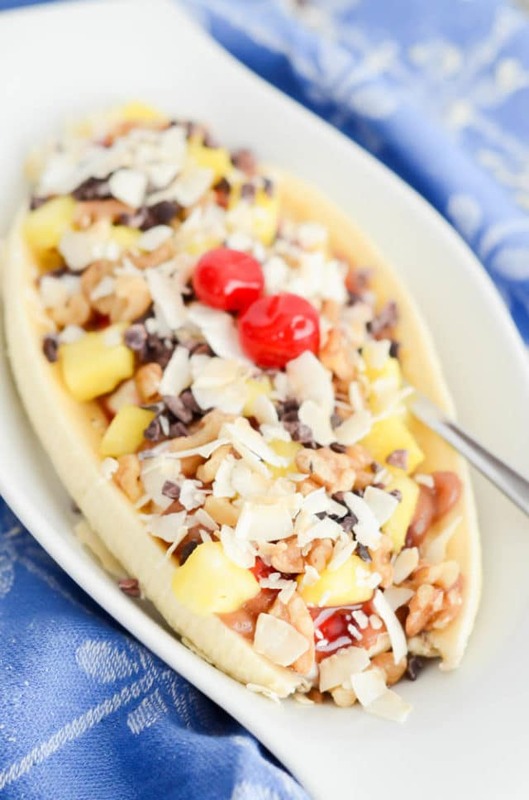 It’s got all of the fun of a classic banana split, yet it’s healthy enough to be acceptable for breakfast. That’s my kind of meal! The idea for this recipe (if you can call it that) came to me while I was working out at the gym, as many of my great ideas do. I’m not sure what spurred it, sometimes things just pop into my head as I’m zoning out on the elliptical. But once I thought of it, I couldn’t get the idea out of my head. 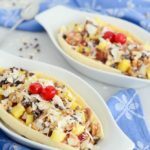 I needed to make a Breakfast Banana Split ASAP! Let me tell you a little story to set the scene for this idea. When I first moved to Santa Barbara almost four years ago, I hunkered down in my brother and sister-in-law’s casita for a few months until my job went from temporary to permanent. I had a pretty sweet little set-up there, a futon bed, a full bathroom to myself, and a little nook with a mini-refrigerator. I did not have a kitchen, but luckily my fam didn’t mind me popping into the house and whipping something up, especially if it involved me making something that there three young kids, my niece and nephews, would eat. While I lived there, I took a little bit of a challenge upon myself. 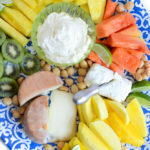 Like most kids, my niece and nephews were not huge fans of foods that held any sort of nutritional value, so my challenge was to find ways to make food that they would love to eat while secretly sneaking in some healthy fruits and veggies. My greatest success with them was when I made “breakfast popsicles,” which were basically a big batch of smoothie loaded with greens (and sometimes other veggies,) poured into popsicle molds and frozen overnight. I mean, what kid doesn’t want to eat popsicles for breakfast? 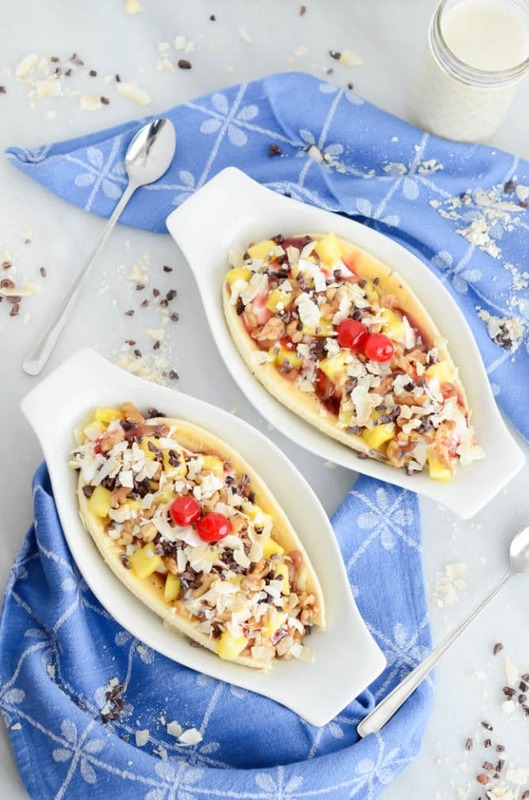 As soon as the idea came to me for these Breakfast Banana Splits, I knew they’d be one of these dishes that kids will just jump at the chance to eat in the morning. I don’t have any children of my own (yet) but I look forward to exercising my nutrient-hiding creativity once again, and I know a Breakfast Banana Split will be making a frequent appearance on our household menu. So here’s how it goes down: Banana sliced lengthwise, just like the classic setup. Heaps of plain nonfat Greek yogurt in place of the ice cream, because we’re making this acceptable for breakfast. Loads and loads of toppings (mostly healthy, some a little more indulgent.) Finally, we can’t forget the cherries on top! 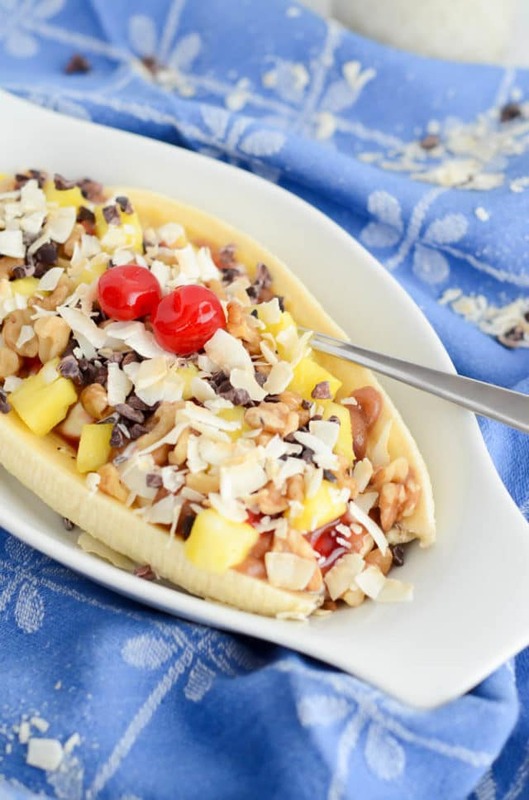 The great thing about this Breakfast Banana Split is that it’s incredibly versatile. I decided to use toppings like flaked coconut, chopped pineapple, date caramel, strawberry jam, toasted nuts and cacao nibs, but you can really use whatever you like (or whatever you have in your pantry!) Some other ideas you could include are freeze-dried fruit, melted almond or peanut butter or hemp seeds. The possibilities really are endless. 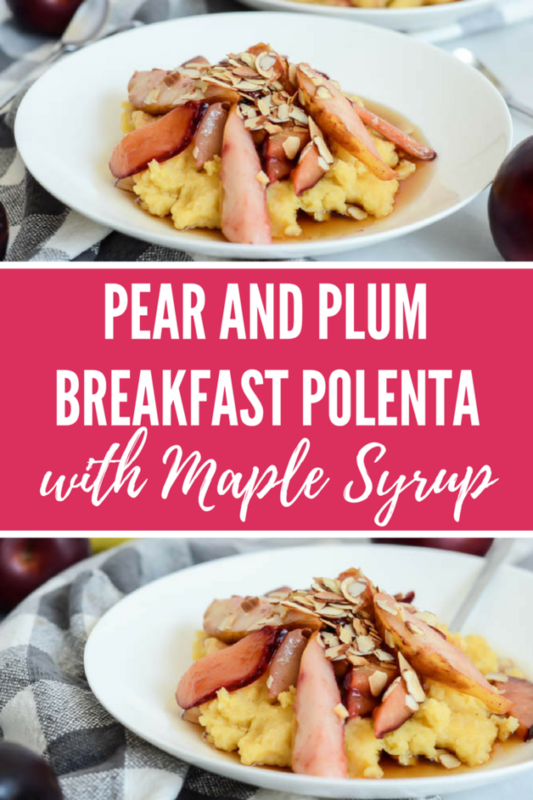 Whether this is a true “recipe” or not, you have to admit it’s a pretty genius breakfast option, especially when you have finicky little ones. What are some ways you sneak nutrient-rich foods into your picky eaters’ diets? 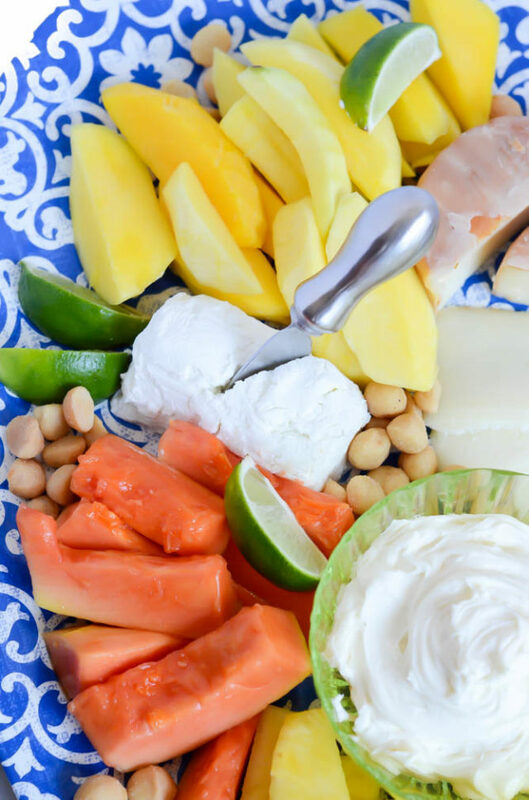 The classic soda fountain treat is given a healthy spin and turned into a delicious, kid-friendly breakfast. Who doesn't want dessert for breakfast? Place banana halves on either side of a sundae dish or larger, shallow bowl. 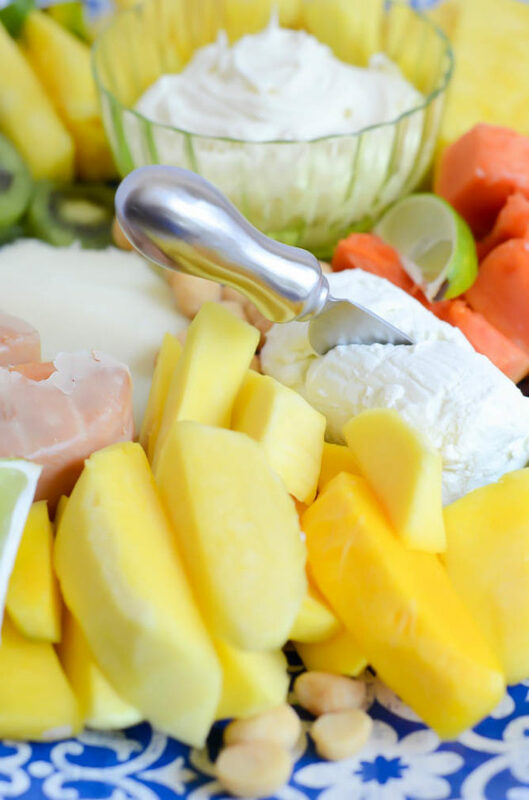 Scoop Greek yogurt in between banana halves and add toppings. Don’t forget the cherries on top! To make the Date Caramel (will make extra): Soak 20 pitted dates in warm water for 10 minutes. Drain and place in a food processor with 4 tablespoons water and 4 tablespoons unsweetened vanilla almond milk. Pulse until a smooth puree forms into a thick caramel consistency. Store any extra in an airtight container in the refrigerator.